AYANA Rewards offers irresistible stay & play packages to suit your travel lifestyle. This April only! 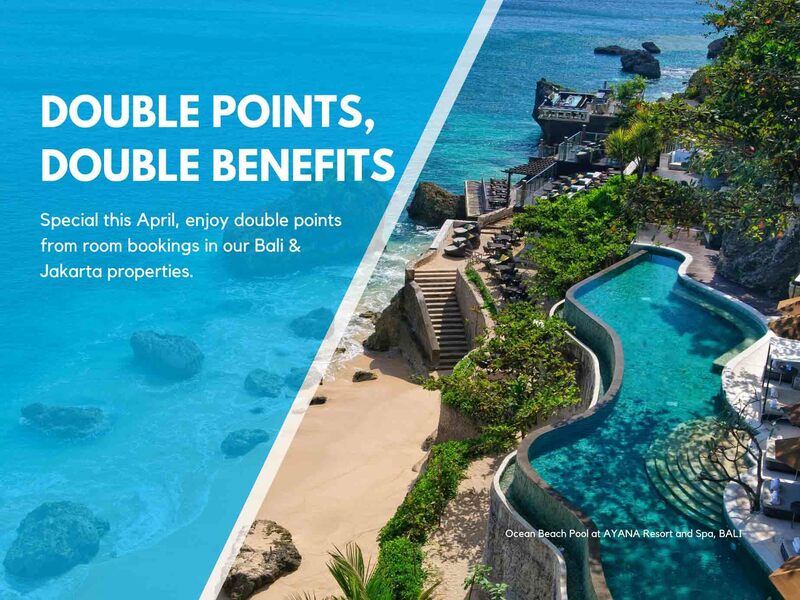 Get double points when you book your stay at our Bali & Jakarta properties. The more points you get, the more benefits you can redeem later. Sign up now as AYANA Rewards member to start collecting points.